Many powerful medicinal herbs are being over-harvested, over-exploited, and threatened to the brink of extinction. 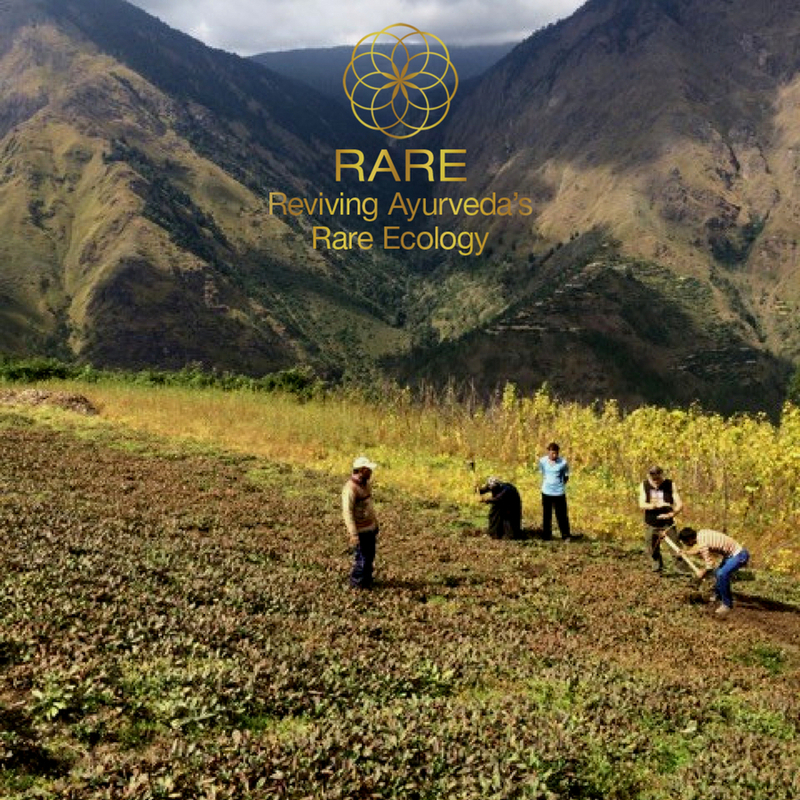 The RARE project’s goal is to support the sustainable and ethical cultivation of endangered herbs while supporting local communities. BOULDER, CO, July 10, 2018 /24-7PressRelease/ — LifeSpa, an Ayurvedic practice and store dedicated to advancing ancient wisdom with modern science, is excited to announce a very special project in partnership with The Dunagiri Foundation for Himalayan Herbal Research and Yogic Studies, RARE: Reviving Ayurveda’s Rare Ecology. Many of Ayurveda’s most powerful medicinal herbs are being over-harvested, over-exploited, and threatened to the brink of extinction. The RARE project’s goal is to support the sustainable and ethical cultivation of endangered herbs. The Dunagiri Foundation empowers and educates villagers and farmers in remote Himalaya to ethically and sustainably grow threatened herbs—providing much-needed income to the locals and reviving endangered plants through an integrated model of education, cultivation, and distribution. LifeSpa’s first restoration herb of focus is Kutki (Picrorhiza kurroa). One of the most treasured and well-researched herbs in Ayurveda, Kutki was listed as endangered by CITES (the Convention on International Trade in Endangered Species of Wild Fauna and Flora) in 1997. Kutki cannot be sold legally without CITES certification. Kutki is an exceptional herb and is considered Ayurveda’s premier liver tonic, but its benefits reach far beyond the liver. By boosting the liver’s natural antioxidant, glutathione, and multiple liver enzymes, it supports detoxification and immunity through both the liver and the lymphatic system. Traditionally, Ayurveda and Chinese Medicine used Kutki to support liver, digestion, elimination, skin, immunity and respiratory function. Thanks to the thoughtful work of Dunagiri Foundation co-founder, Prashanti de Jager, and the dedicated farmers in the remote village of Ghesh, Kutki is now growing sustainably in its natural high-altitude habitat in the Himalayan Mountains. Through LifeSpa, you can now enjoy CITES-certified, fair trade, ethically- and sustainably-cultivated Kutki that is grown without pesticides, chemicals, or genetically modified organisms (GMOs). This is the first in a long line of LifeSpa RARE products that LifeSpa will be sustainably sourcing and making available in partnership with Dunagiri. Proceeds from the RARE line go towards supporting the farmers and villagers who will be cultivating the threatened herbs. Based at the foot of the Rocky Mountains in sunny Boulder, CO, LifeSpa is a booming Ayurvedic clinic and on-site herbal shop, online database containing over 1000 articles and videos proving ancient medicine using modern science, as well as an online store providing a multitude of Ayurvedic remedies, herbs, and supplements. Dr. John Douillard, DC, CAP has written and produced numerous health and fitness books, eCourses, programs, and DVDs, and has been teaching and lecturing on Ayurveda internationally for more than 30 years.